Part of the Financial Times group, the publication also recognized BBVA’s franchises in Peru and Paraguay with the ‘Bank of the Year’ award. Silvia Pavoni, editor of The Banker; Derek White, Global Head of Clients Solutions at BBVA; and the awards host Fiona Bruce. For Brian Caplen, Editor of The Banker, one of the most influential publications in the finance sector, “BBVA is a leader in the digital transformation, and has worked very hard to ensure that its clients, regardless of where they are, can benefit from this change. In this area, BBVA has very few rivals.” Caplen also congratulated all BBVA employees for being the best bank in the Americas. “It’s all about really understanding our role in people’s lives and making sure that the products we develop cover much more than just financial transactions, and include advisory and data analysis services, always focusing on bringing value to benefit the client,” White added. Part of BBVA’s digital transformation entails the global development of solutions, regardless of where customers live. This strategy makes it possible to unify design and functionalities and offer a world-class customer experience. A good example of this is BBVA’s mobile banking platform – also known as “GloMo” (Global Mobile) – which is the result of the joint work of teams in Spain, the U.S., Mexico, Peru, Uruguay and other countries. Other products and services with a global reach include BBVA Valora, which has already been rolled out in Spain and Mexico, and also in Colombia, under the name BBVA Vivienda Online. The rapidly growing activity among individual and corporate customers on digital channels is proof of how successful BBVA’s strategy has been. Over the past year, the Group’s digital customer base has risen 23 percent to 26 million, representing 49 percent of all customers – very close to BBVA’s goal of having half of the Group’s customers using digital channels by the end of the year. Mobile customers are also up 37 percent since September 2017 – totalling 21.7 million – and digital sales comprise 39.5 percent of the total, a substantial increase from two years ago, when it was just 15.3 percent. BBVA has an extensive footprint in the Americas, both in North and South America. Its main subsidiaries include BBVA Compass – one of the leading lenders in the U.S. Sunbelt Region – and BBVA Bancomer – Mexico’s leading bank. In South America, BBVA has leading franchises in Peru (BBVA Continental), Colombia, Venezuela (BBVA Provincial), Argentina (BBVA Francés), Paraguay and Uruguay. Silvia Pavoni, editor of The Banker; Antonio Bravo, BBVA director of Business Development - South America; and awards host Fiona Bruce. In fact, two of BBVA’s franchises were also recognized as the best bank of the year in their respective countries: BBVA Continental, in Peru, and BBVA Paraguay. BBVA Continental is the first bank in Peru to engage in digital transformation and stands out for its ability to quickly adapt to technological change. The bank has showcased its ability to manage a sustainable relationship with all of its customers and develop innovative products and services. All of this to deliver the best user experience, drive digital sales, align new business models to a customer-centric vision and optimize capital allocation. “Proving our ability to innovate to drive the digital transformation and, at the same time, grow across all banking product segments allows us to garner positive results in the short term and guarantee our sustainability in the future”, said Eduardo Torres-Llosa, CEO of BBVA Continental. Similarly, BBVA Paraguay is one of the leading technological players in the local financial market, where digital transformation is a pivotal factor. The bank continues to work on transaction management in order to position itself as a bank with a wide range of products and services – building on its digital foundation to deliver the best financial solutions for its customers. BBVA is a leader in digital transformation yet again. On this occasion, The Financial Times, Google and European regulatory authorities have included the bank in the group of digital pioneers in Europe. The presentation of the list took place at an event in Brussels that also analyzed the latest trends and different companies’ success stories. Paloma Tejada, Head of Talent & Culture, Client Solutions at BBVA, participated in one of the panels, explaining BBVA’s experience in the digital transformation. She focused on the cultural change underway at the bank, and the evolution of work methods. “Putting the customer at the heart of everything we do and undertaking a continuous transformation, strengthening our digitization efforts, allows BBVA’s team to be at the cutting edge of the financial system,” said Ignacio Sanz y Arcelus, CEO of BBVA Paraguay. In May, The Banker also recognized BBVA with an award for the best green financing for its green loan to Terna – an electricity company building a transmission line in Uruguay. And last year, the publication selected BBVA Bancomer as the best bank in Mexico and singled out Garanti, BBVA’s Turkish franchise, as the best bank in the country, pointing to the bank’s firm commitment to digital transformation. BBVA was recently chosen by Global Finance as the best private bank in Latin America, a distinction granted by the magazine in its “World’s Best Private Banks 2018” awards. 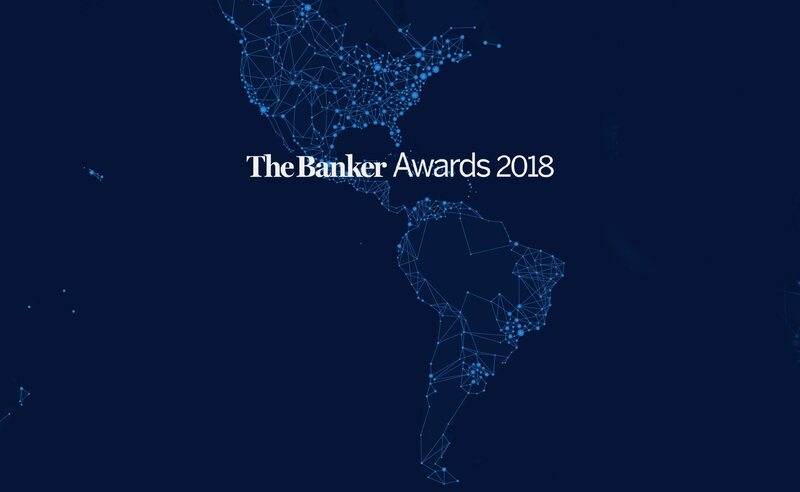 The Banker magazine has selected BBVA Bancomer and Garanti Bank as the best banks in Mexico and Turkey, respectively, as part of its 2017 Bank of the Year awards. The magazine, a member of the Financial Times group, noted the strength of both banks and underscored their commitment to digital transformation.